Do end of the year festivities make you cringe with loathing and fear? Holiday season stress — you just can’t seem to avoid it — or can you? The holidays are stressful for nearly everyone. It takes a lot of time and effort to celebrate. If stress overshadows the meaning of the holidays, then something is wrong. 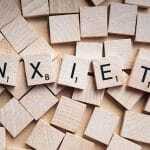 In extreme circumstances, this can even lead to depression or debilitating anxiety. 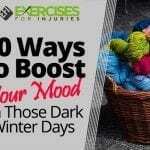 Let’s take a detailed look at why you get stressed out during the holidays and some practical ways to minimize the stress. Why Do I Get Stressed During the Holidays? Any number of things can cause holiday stress. For starters, you are much busier. Besides closing out the year, you’re also planning social events and shopping. Everybody’s life is already busy, and all the extra work of planning can make you anxious. Still, being busy is just the tip of the iceberg in some cases. 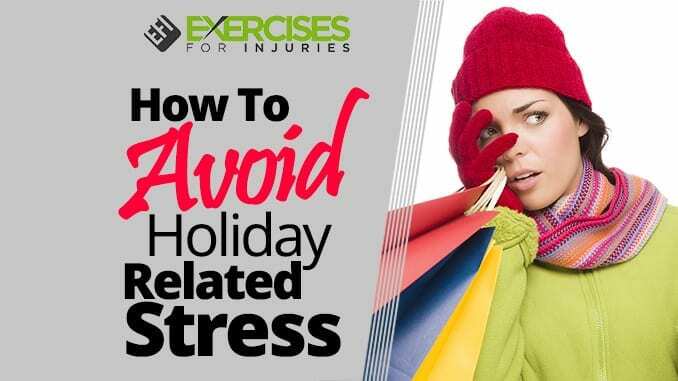 The other causes of holiday-related stress are just as or more important to consider. Let’s break them down item by item and offer some healthy solutions too. We already know that shopping and planning throw a monkey wrench into your daily schedule. However, you can get much more done if you plan ahead. Start by making a list of people you want to buy gifts for and also write down what you plan to buy for each person. Try to do this off the top of your head at first. If you go out without a plan, you will end up wasting hours of time browsing around stores — even online ones. It’s best to have as much of your battle plan written out as completely as possible. Remember to include your menu planning and food shopping in your lists. The more specific you can get with each item the better as it will save you time from having to make decisions on the run. Also, consider buying gifts in batches. For instance, scented candles can be bought for several different people on your list. Personalized ornaments, mugs, tote bags and clothing are easy gift ideas as well. 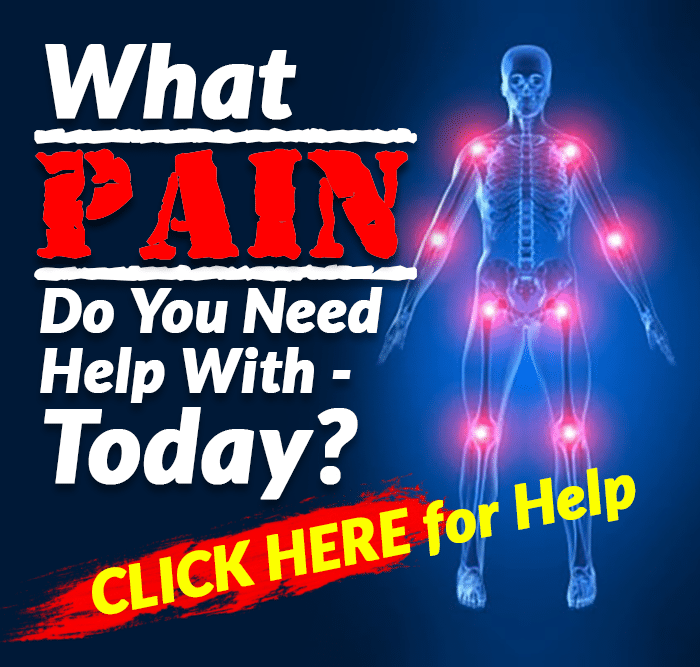 Finally, do as much shopping online as you can. This way, you avoid traffic and checkout lines. Got your lists ready? Well, before you head out to the mall, review the lists and modify them if it looks like the bill will be too costly. Trim as much as you can and stick to your budget. Does anybody need more than one or two gifts? Plus, avoid the temptation to put it all on credit. Even if you think you are getting away with it, this tactic only increases your stress levels. Also, push for grab bags among family, office and group gift giving. Sometimes, we set the bar way too high for the holidays. You may want everything to be just perfect but, in the end, you only set yourself up for failure. Deep down this may be a desire to make up for other imperfections in your life, but don’t fall for it. Nobody’s life is perfect, and neither are the holidays. Having a great holiday celebration will not define your life in any lasting way. So, settle for maintaining the essentials — good company, seeing loved ones and seeking meaning beyond the commercial packaging of the season. Nobody has a perfect family, and some are downright unbearable or rude. Still, if you have to get together and it stresses you, be prepared. Remember the things that might make you react negatively and be ready to avoid these topics. Don’t get baited into conversations that you know will only cause conflict. Always keep this line ready for when you want to explode but shouldn’t: “Will you excuse me? I have to use the bathroom.” Remove yourself from the situation, get your head together, and come out smiling. Also, you can always leave early if things get too difficult. It’s better to bow out gracefully rather than stick it out just to end up going home angry or miserable. For one reason or another, some people end up being all alone during the holidays. First of all, know that this is actually much more common than you think. You might try to find a volunteer opportunity to connect during this time. At work, you may also find others in the same boat, and together you could organize an evening celebration. Who knows, you might end up building friendships that last a lifetime. Now, this phrase can apply to many different holiday scenarios. We already mentioned alcohol, but it deserves repeating. If you are nursing a hangover and have to continue the holiday grind, this will only increase your stress levels. 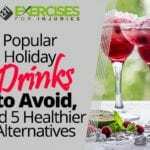 Plus, alcohol is notorious for causing embarrassing moments during the holidays, whether it be a lack of prudence or arguments, so stay in control of yourself for everyone’s sake. Also, you don’t have to say yes to every invitation. You can decline, kindly saying that you have another commitment. Don’t waste time overexplaining and don’t feel guilty. If you absolutely must go, feel free to excuse yourself early, without excuse making. Remember, you make the final call about what you do with your social time. Don’t forget to reserve some time for yourself during the holiday bustle. Even if it’s just a simple bubble bath or a quiet tea in a cozy nook, take time out to reflect and recover. These pauses can also help you refocus on how to stay healthy during these hectic weeks. This might also mean not negotiating healthy habits you already have. If you are loyal to your workout schedule, stay faithful during the holidays. If not, you’ll just feel guilty and any extra calories consumed will be even harder to work off. Don’t hesitate to work in some time for volunteer or charitable work during the holidays. This action helps you see the bigger picture and appreciate the good things in your life. When you go out of your way to help others, you’ll find yourself invigorated and stronger. They say, “it’s better to give than receive,” and the holidays are an ideal opportunity to experience this truth. Today’s culture is frequently misguided about how the holidays should be celebrated. There’s no doubt that retailers push hard to make as many sales as possible. All of this ends up being translated into a message that revolves around buying and overindulging. Still, you can’t buy happiness. Try to tap into the true message of the season. No matter what kind of spirituality you practice, search for some kind of deeper message despite the noise of commercials. When you connect with something more profound, the scurrying around just doesn’t matter as much anymore. Instead, you begin to consider the importance of goodwill, generosity and peace. When this occurs, stress melts away as you become more grateful for the blessings you have here and now.